As the wrapping paper clutter is finally pushed aside, lots of us are turning toward 2016 with hope for renewal and a fresh start. But resolutions aren’t always what we hope them to be. Often, they come and go as quickly as the holidays. Resolving to lose weight or read a book a month can be daunting. But looking instead for a way to holistically nourish yourself — body and soul — is a great place to begin. Locally, there are many enriching courses and activities offered throughout Whatcom County aimed to make your life healthier, richer and more meaningful. Peruse this thoughtful list of holistic classes and activities that could help you turn over that elusive “new leaf” in 2016. The study and practice of mindfulness has been all the rage in the past few years. Mindfulness has been shown to significantly improve a wide variety of physical and mental illnesses. You might have heard of author Jon Kabat-Zinn, PhD, who developed Mindfulness-Based Stress Reduction (MBSR) at the Stress Reduction Clinic of UMass Medical School. 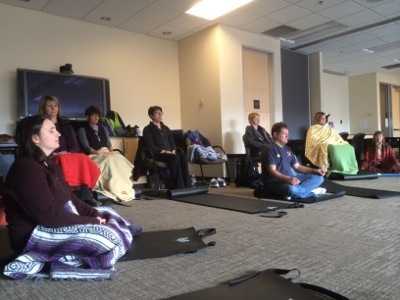 We are lucky enough to have a mindfulness center, based on the UMass Clinic, right here in Bellingham. In our busy, multi-tasking world, there’s never been a better time to learn about handling stress in a healthy way and focusing on the things that really matter. Mindfulness is the perfect way to balance our busy lives. Mindfulness has the ability to change, reset and improve anyone’s life. I’ve studied mindfulness, and it’s had a profound effect on my ability to work through challenging events and emotions. Classes are accessible, offered on a wide variety of days and times and in various formats. Sign-up for a one-hour introductory workplace presentation or embark on a seven-day silent retreat — the options are limitless. Evening and weekend classes are also available, and you can even hear Tim speak during noontime and evening presentations at Village Books this January. Sunday Assembly features an inspirational speaker each month. Photo courtesy: Sunday Assembly. The concept of Sunday Assembly began in England in 2013, and has quickly spread to include 68 chapters around the world. 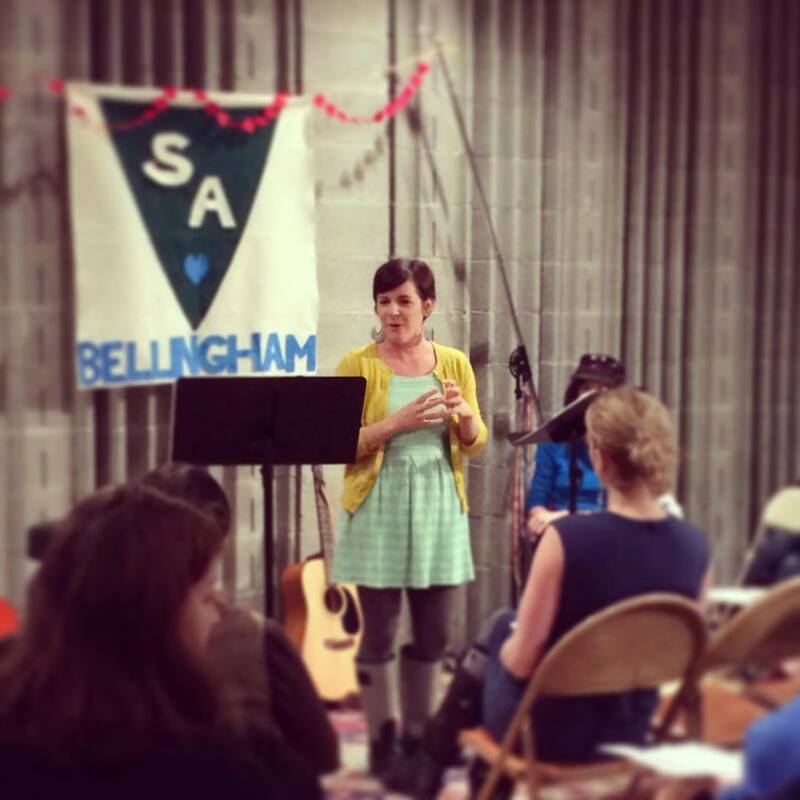 The Bellingham chapter began in 2014 and is led by a small group of hard-working volunteers. They emphasize, “There are lots of great ways to get involved. From guest speakers to cookie bakers to chair movers.” The next Sunday Assembly is on February 7. The group meets at the Bellingham Free School in Happy Valley. You can follow Sunday Assembly on Facebook for more information. 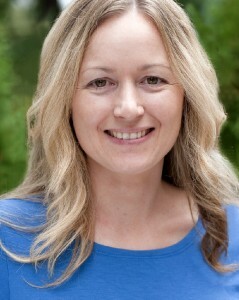 Cassandra Knight draws on her experience as an educator, a martial artist, and a mother, in addition to her extensive acupuncture training, to be a fantastic practitioner. Photo courtesy: Knight Acupuncture Center. Acupuncture is coming into the mainstream of health and wellness methodologies all over the world. It’s even covered by many insurance companies. There’s good reason for all the excitement. Cassandra and Alexander Knight who run Knight Acupuncture Center say, “Acupuncture is extremely safe. It is an all-natural, drug-free therapy, yielding no side effects — just feelings of relaxation and well being.” And acupuncture is not only about prevention and stress-reduction; it also can effectively treat a stunning array of ailments. Understanding all that goes into acupuncture treatment is no small feat, but it’s important to know that all humans are made of energy. That energy can wax and wane and get interrupted or corrupted from time to time. This is not a new idea. As Knight Acupuncture’s website states, “For the past 5,000 years, practitioners of acupuncture have called this intelligent energy qi (pronounced “chee”). Qi is the vital energy in all living things, from the tallest tree to the smallest cell.” Alexander and Cassandra use acupuncture to treat both acute and systemic ailments and correct imbalances in qi. I can personally attest to the professionalism, education and individualized care that can be found at Knight Acupuncture. Cassandra and Alexander are trusted, certified professional acupuncturists, and my husband and I have both been patients of theirs. Everything in their practice has been considered, from the holistic approach of care down to the soothing paint colors on the walls. They don’t rush people through appointments, but instead pay attention to details and the whole person. Though acupuncture has been practiced for thousands of years, its only recently made its way into mainstream western medicine. Photo courtesy: Knight Acupuncture Center. Kung fu is more than a martial art. It promotes whole-body health, and many see a notable health transformation after taking up the practice. Another students remarks, “I had debilitating digestive and anxiety issues. After practicing kung fu for less than a year, both ailments were alleviated.” The Knights teach a Shuai Jiao style of kung fu and tai chi. Classes are appropriate for beginners thru advanced students. The unique combination of acupuncture administered by those trained in the art of kung fu is quite a powerful experience. It brings together energy, fitness, eastern and western science and herbalism, and many facets of what it means to be healthy. Learn more about what the Knights do by visiting their blog. To schedule an acupuncture appointment or sign up for kung fu, call 360-738-3600. Knight’s Acupuncture and Kung Fu is conveniently located downtown. All of Yoga Northwest’s classes are taught by experts in our region. Photo courtesy: Yoga Northwest. Most of us have probably taken a yoga class somewhere along the line, but did you know there is a top-notch yoga studio in Bellingham that operates more like a yoga college and employs teachers that are some of the best in the entire region? Yep, it’s true. The teachers at Yoga Northwest boast a very impressive 100 years of combined yoga instruction. Director, Ingela Abbott, explains, “Instead of having students casually drop into any classes at anytime, they sign up for 10 to 12 week sessions consecutively and each class gradually progresses from week to week to help students learn to practice the yoga poses in the most safe and beneficial way for his or her individual Journey of Yoga.” Many of the teachers at Yoga Northwest have studied at the prestigious and reputable Iyengar Yoga Institute in Pune, India. It’s clear that they take quality instruction very seriously at Yoga Northwest. 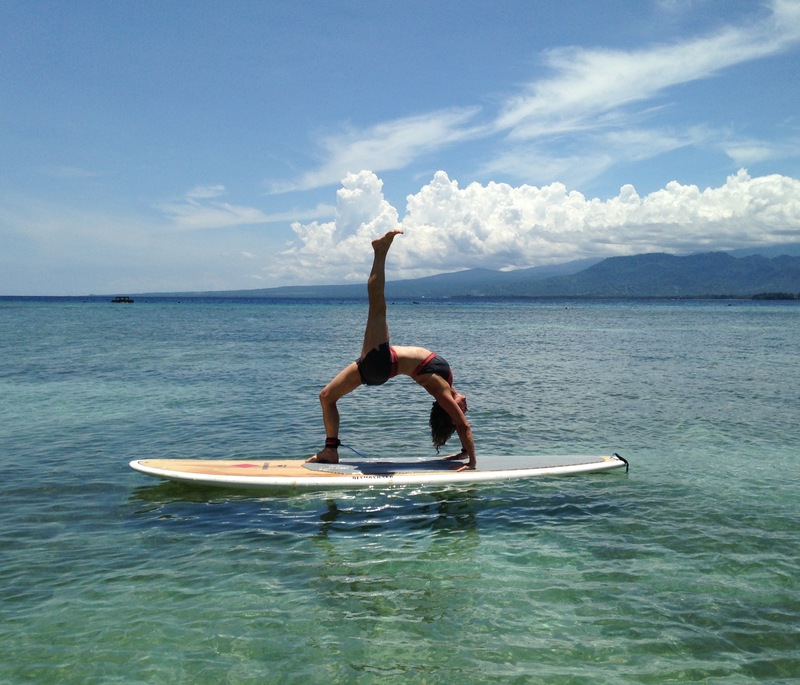 Yoga Northwest’s Director, Ingela Abbott, on one of their international yoga adventures in Bali in 2015. Photo courtesy: Yoga Northwest. If appreciation of body and soul weren’t enough to entice you toward this superior yoga experience, the school also organizes exotic travel opportunities. They plan yoga-hiking-biking adventures around the world in places such as Panama and Vietnam. This coming summer they’re traveling to Sweden, and they’ll be going to Bali in the fall. Check Yoga Northwest’s widely varied and accessible class list for the one that fits your life. Winter quarter begins January 11, and the first week of January new students can try out classes for free.